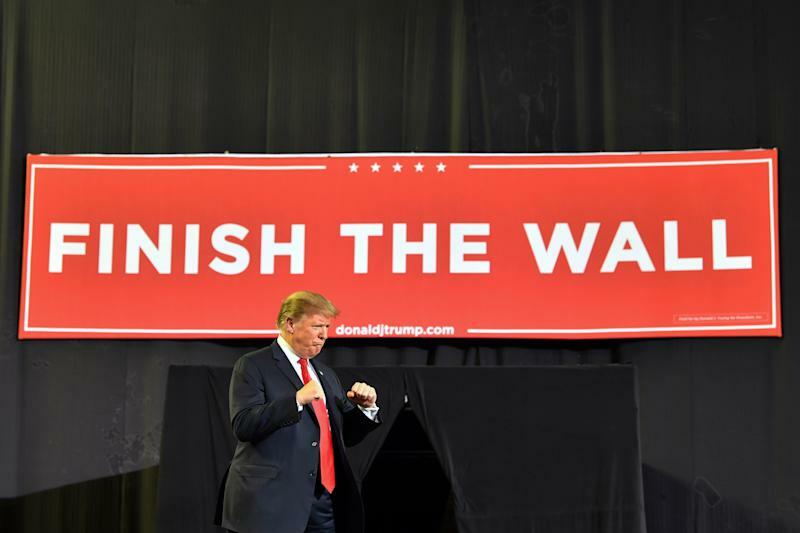 President Trump returned to the campaign trail Monday with a boisterous rally in El Paso, Texas, a city he claimed had benefited from the construction of a border barrier similar to the one he has long promoted. In a speech ostensibly meant to promote the border barrier, Trump took his time getting around to that topic. First, he spent approximately an hour attacking Democrats on a number of issues, including taxes, the “Green New Deal” and late-term abortion. 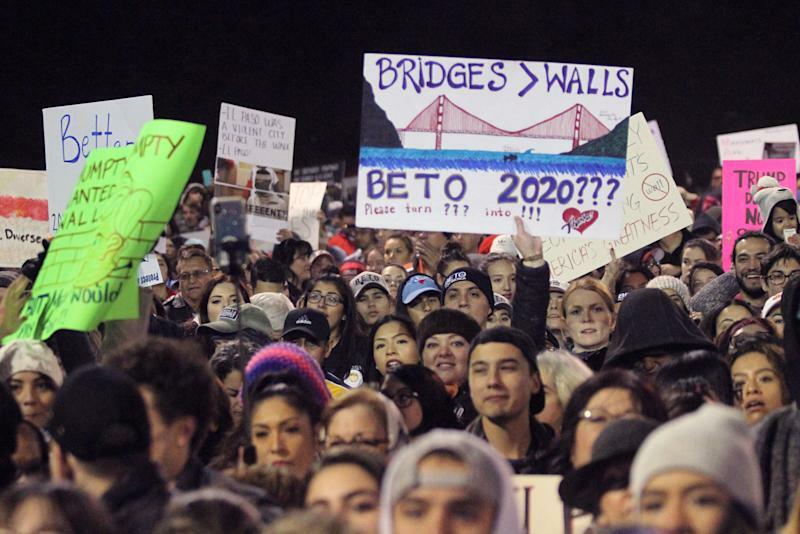 In fact, El Paso, which has a population of 683,577, had one of the lowest violent-crime rates for a city of its size before the border barrier was built. That rate edged up slightly after construction of the barrier was complete. Before Trump’s rally, several local officials, including the town’s Republican mayor, sought to correct the president’s assertions. “It almost seems like the president had to say that we were once dangerous in order to further his narrative that immigrant communities are inherently bad, or that immigrant communities are inherently unsafe,” Rep. Veronica Escobar, D-Texas, said at a Monday press conference in El Paso, her hometown. Since he kicked off his 2016 presidential campaign in Manhattan on June 16, 2015, Trump has been fixated on the idea that immigrants crossing the U.S. border with Mexico represent a criminal threat. Two years into his first term as president, Trump hasn’t backed off the assertion that immigrants crossing the southern border bring crime with them, even though studies have found that undocumented immigrants commit crimes at lower rates than native-born U.S. citizens. In the run-up to the 2018 midterm elections, the president pushed hard on what he saw as the need for a border wall, but ended up losing the House of Representatives to Democrats. 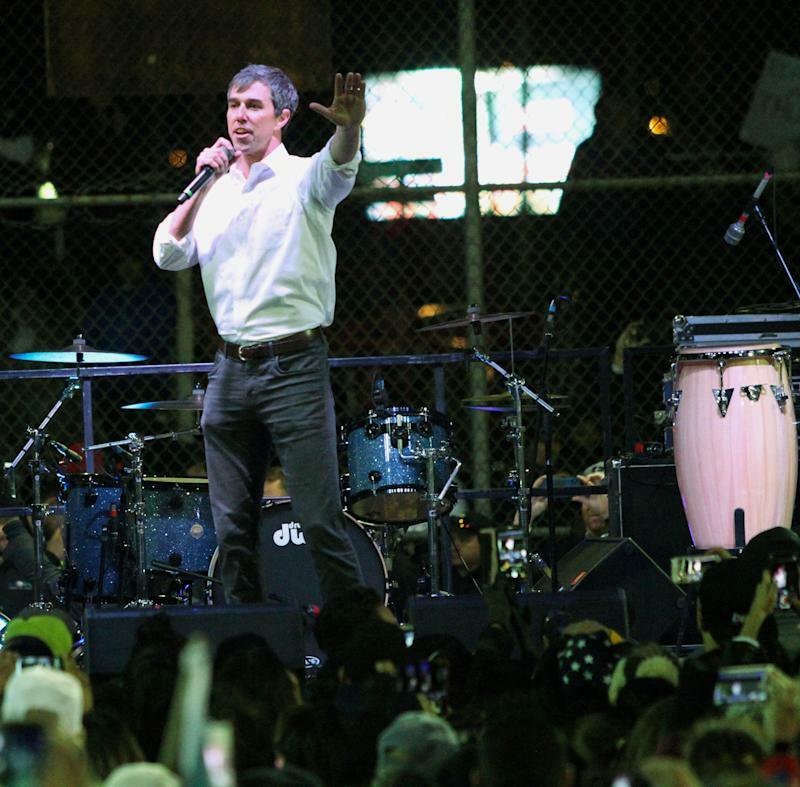 While the GOP picked up three seats in the Senate, O’Rourke lost to Sen. Ted Cruz by just 220,000 votes, the smallest margin of victory for a Republican Senate candidate in 40 years.